Industry Analyst Jeff Kagan Asks of LG and Samsung Curved Smartphone Screen, Is There a There, There? Both LG Electronics Inc. and Samsung Electronics Co. have announced their entry into the curved smartphone screen market, says Reuters on Oct 28. The piece also says Apple could be next. Tech analyst Jeff Kagan offers comment. “I have two things to say about this astounding new curved smartphone screen technology being introduced so far by both Samsung and LG. One is that this is amazing and looks very advanced. Two is why? What’s the point? Is there a there, there?” asks Principal analyst Jeff Kagan. “These companies must see market value in curved and eventually flexible screen technologies for their smarpthones. However besides the fact that this sounds interesting, what’s the point?” asks Industry analyst Kagan. “There has been quite a bit of talk about the coming wave of curved smartphone screens, however there has not been a lot of talk about what we will be able to do with them. That must be the focus of both the media relations and public relations efforts of companies going forward. Currently there are many more questions than answers,” says Kagan. “There must be a there, there. Let’s hope both LG and Samsung start talking about what these curved smartphone screens will do for us. Otherwise this whole endeavor will be nothing more than just talk. And that would be a shame,” warns Kagan. This Reuters report also says there is talk about Apple preparing to enter this curved screen space. “If so this could mean that executives really see a big future in this design. What that future is however is not being translated well to the market place. There is quite a bit of work ahead for the marketing departments of these companies. Let’s hope there really is a there, there,” says Kagan. Jeff Kagan is a Technology Industry Analyst, consultant and columnist who is regularly quoted by the media over 25 years. He offers comment to reporters and journalists on wireless, telecom, Internet, cable television, IPTV and other tech news stories. Kagan is also known as a Tech Analyst, Wireless Analyst, Telecom Analyst and Principal Analyst. Reporters: Jeff Kagan sends comments by email to reporters and the media. If you would like to be added to this email list please send request by email. Clients: Contact Kagan to discuss becoming a client. He has worked with many companies as consulting clients. Contact: Jeff Kagan by email at jeff(at)jeffKAGAN(dot)com or by phone at 770-579-5810. 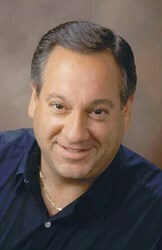 Visit his website: at jeffKAGAN.com to learn more and for disclosures.